Happy St Patricks Day everybody! This Sunday everyone will be out drinking Guiness and putting on their worst Irish accents "fiddily dee" "top of the morning to ya!" I made this cake last year for my sister-in-law's mother's birthday (whew what a mouthful!) 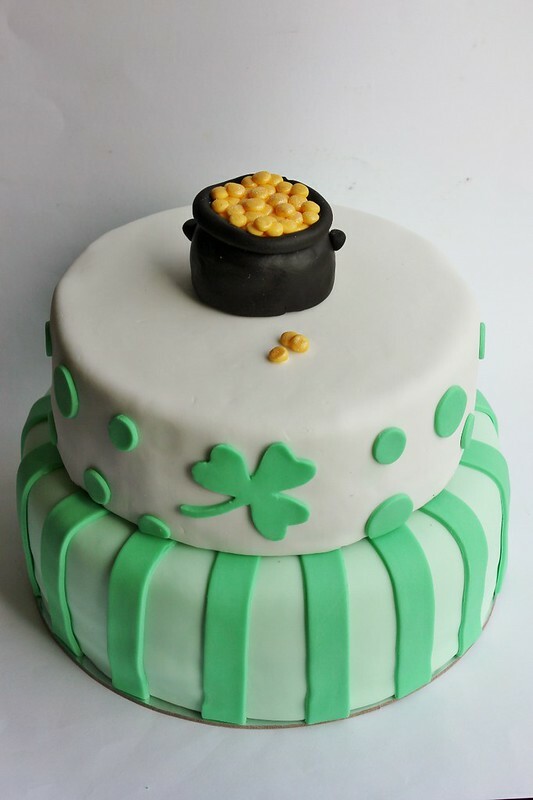 Her party was Irish themed and I had the job to make the cake. The only problem was the party was in Wellington! Wellington is either a nine hour drive or a one hour flight away from Auckland (where I live) so getting the cake there was going to be interesting. The shamrock was actually quite hard to make as I didn't have a cutter for it! Instead I used a heart cutter and cut along the edges (took a few goes to get it right). As the cake need to be transported I didn't stick it together so you'll notice a big seam in the middle of the two tiers. 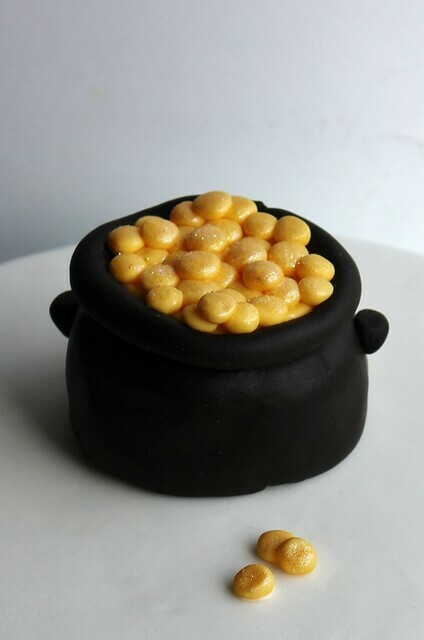 Usually I put some royal icing or fondant around there. 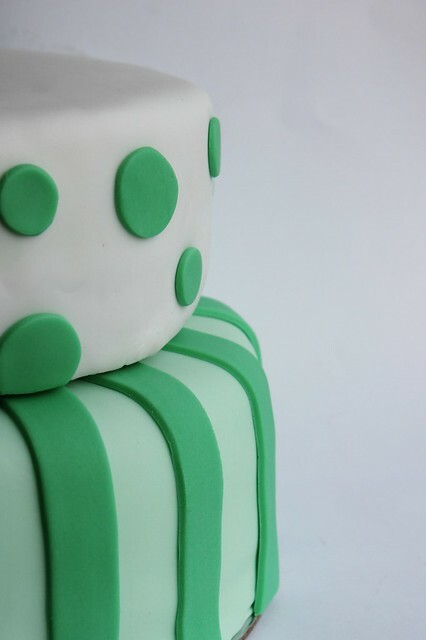 I also made little fondant shamrocks on wires to stick out of the cake. Unfortunately I couldn't put them in for the photos so you'll just have to imagine it! In the end the cake was given to some friends who were flying down. I had to securely put both tiers in containers with instructions and bits and pieces to put the cake together. It's terrifying to make a cake but not be able to actually set it up yourself for the event! Apparently my sheet of instructions worked well and the cake looked (and tasted) great. What a relief! Tomorrow in preschool we are celebrating St Patricks Day, better get out my green clothes and start practising my Irish accent! How are you spending St Patricks Day this weekend?